Our team of Gas Safe engineers supply and fit all of our own A or A+rated combi boilers and central heating equipment to customers in Glasgow, Kilmarnock, Irvine, Ayrshire and the west of Scotland. Given we are based in the southside of Glasgow and have heating engineers who live in Ayrshire, Renfrewshire, Lanarkshire & Dunbartonshire, West Lothian we are well positioned to service these areas. Replacement Boiler Installation Kilmarnock, Irvine & Ayrshire? Pure Eco Solutions Ltd offer new and replacement boilers and heating systems all over the Scottish Central Belt, given our offices are based in Glasgow and we have approved gas installers who live in Ayrshire, Renfrewshire, Glasgow & Edinburgh we can comfortably serve Kilmarnock, Irvine and all of Ayrshire. Let’s face with anything we buy, the cost is always going to be a lead influence when it comes to making our decision. At Pure Eco Solutions Ltd we offer monthly finance, with no upfront payment or deposit required, for both central heating electric and gas systems all installed before you make a single payment. As for exact costs each job is different so its really best to call or email us with your requirements and we will provide an accurate same day quote completely hassle-free with no salesmen. 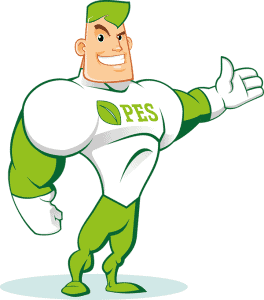 Pure Eco Solutions Ltd are as flexible as possible when it comes to how you pay for your replacement boiler and central heating. We allow all methods of payment including debit and credit cards, cash and monthly boiler and central heating finance options available. You can also take a central heating & boiler finance option with no deposit required, which is very popular with our Kilmarnock, Irvine and Ayrshire based customers.